Words: En Trinitatis speculum from Michael Praetorius' Musae Sionae, 1609. Music: From Michael Praetorius' Musae Sionae, 1609. 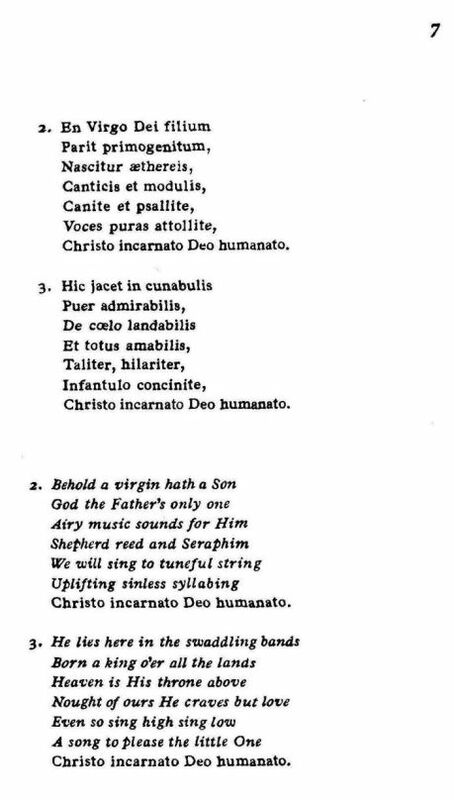 Source: Richard Runciman Terry, Two Hundred Folk Carols (London: Burns Oates & Washbourne Limited, 1933), Carol #140, pp. 6-7. Shineth on our waning days. A song to please the little One. 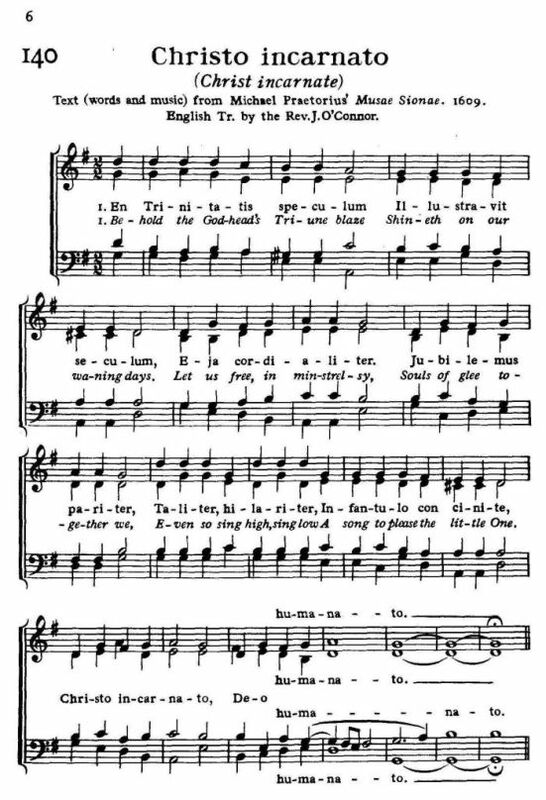 Sheet Music from Richard Runciman Terry, Two Hundred Folk Carols (London: Burns Oates & Washbourne Limited, 1933), Carol #140, pp. 6-7.